A leading Scottish social work academic is contributing to a comprehensive study of inequalities in child welfare systems to address this question. The University of Stirling’s Professor Brigid Daniel will work with academic colleagues from universities in Scotland, England, Northern Ireland and Wales, where child welfare systems and intervention rates differ, to establish what is driving child welfare inequalities across the UK. 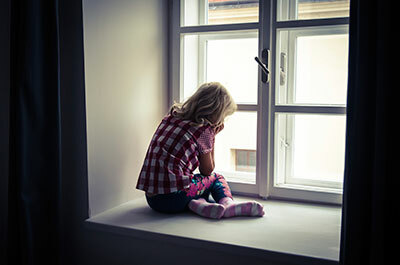 The project, led by Coventry University and funded by the Nuffield Foundation will compare disparities in child safeguarding throughout the country. It will also explore potential reasons for the inequalities in child welfare within and between the four UK countries. In Scotland, the total number of children looked after has fallen for the first time since 2001, but the number of children being looked after by foster carers and prospective adopters or in other community placements remains at the highest level on record. Since 2001 there has been a steady 34 per cent increase in the number of children on the child protection register. Professor Brigid Daniel, Professor of Social Work in Stirling’s School of Applied Social Science, said: “Scotland aspires to be the best place for children to grow up and this has to include all children, including those whose start in life is difficult. “Too many children’s lives in Scotland are blighted by the effects of poverty and deprivation and, in particular, the corrosive effects of inequality of opportunity. The project will be led by Professor of Social Work, Prof Paul Bywaters, from Coventry University. He said: “Almost 5 children in a 1000 in Wales and Northern Ireland are on a child protection plan or register, but fewer than 4 in 1000 children in England and fewer than 3 in Scotland. Scotland’s former Chief Medical Officer, Sir Henry Burns, will lead the project’s Advisory Board. He is now a professor of global public health at Strathclyde University, specialising in health inequalities. He said: "Much of my career has been spent in trying to understand the causes and consequences of health inequalities. Stirling’s social work and social policy research performed outstandingly well in the Research Excellence Framework 2014, with over 75% of research rated as either world-leading or internationally excellent, and 100% of research impact judged to be either world-leading or internationally excellent.